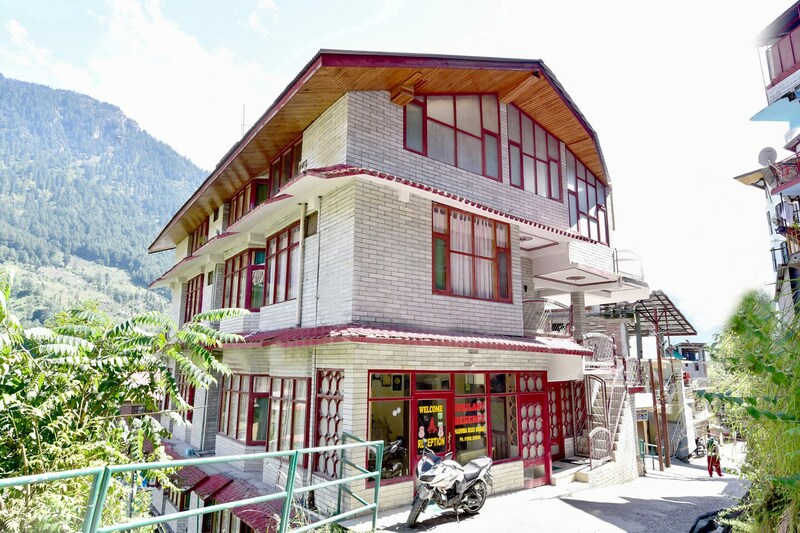 Catch all the action in Manali while you enjoy a comfortable stay at the centrally located OYO 19482 Hotel Jubilant Regecy Manali. Maintained by a skilled and hospitable staff, we ensure to provide you an attentive and personalized service. Designed per the needs of a contemporary traveller, you can find all the amenities such as Complimentary Veg Breakfast, Free Wifi, CCTV Cameras to your comfort. Explore the citys trail visiting its top attractions like Museum Of Himachal Culture & Folk Art, Hadimba Devi Temple and Von Ngari Gompa. After a day full of sightseeing, relax in the restful ambience of OYO. Dont worry if you get short on cash, as there is UCO Bank ATM, HDFC Bank ATM and Bank of Baroda ATM located at a walkable distance.